Please help with any information you may be able to provide on the following listings. Click here to place a new request for information. My great uncle SGT. Kenneth Mahon was taken pow on 5/18/51 and was presumed dead 6/30/51. His remains were never recovered. I am looking for any information anyone may have about him or to be in contact with someone who knew him. My father served in the Korean War and was a liberated POW. I’m searching for men who served with him, passed away December 21, 1961, one week after I turned 3 yrs old. I am researching because I found out recently that my Father was named Roger McCabe. The date of birth on the following website is his exact birthdate. I am looking for more information about him. He was from New Jersey but I was not aware that he was from Atlantic County although he may have lived there for a time. I am just trying to determine if this is the same person. Thank you for any information you can provide. And if you have access to records that indicate another Roger McCabe with that birthday. I would appreciate any information or pictures you have of my Grandad. I have been trying to locate a POW that was in my Basic Training Co. All I know is that his surname was Murphy and he was listed as from Rosemead, CA when the Big Switch names were listed in the Los Angeles Times in august 1953. I believe that he was in the 24th or 25th Division and taken prisoner perhaps late in 1951 WE were in Basic Training at CAmp Roberts, CA from Jan to May 1951.. I sent this email in 2010 hoping to find out some information on my cousin Joseph Spano. Below is information in my original email of the camps he was at. Any information on his unit or fellow soldiers would greatly be appreciated. My cousin Joseph Spano died on December 22, 2001.He was born and raised and died in Tampa Florida. He is listed in the Korean War Ex- Prisoners of War book written by a David Polk as a POW. My cousin never really talked much about his POW experience except once in awhile when he would say something and then would back off. The only document I have is a debriefing affidavit that was conducted in March of 1954 in Tampa Florida by a Captain Roger R Foeley at a Army Reserve Center. In this affidavit he said he was captured May 19, 1951 by the Chinese but did not know exact place of capture. He goes on to say they marched him and other POW’S for about 3 weeks and came to a place they called Camp Pines during this time he could not see. He says that he departed this camp sometime in July 1951 and marched again for about 3 weeks coming to a Camp they called Mining Camp. From this camp he went to Pak Tong Hospital where he was given medical treatment. He left around October of 1951 and was sent to camp 2 where he stayed until he was released August 28, 1953. I looked on your website but Joe is not listed in camp 2. If you or any other members have any information on him I would love to communicate with them. I did communicate with one of your members back in 2001 who said that Joe may have been at the May Massacre that happen in 1951. I do know that he and only about 6 other guys survived the attack when he was captured everyone else was killed. Joe was a BAR guy Browning Automatic Rifle. He might have been in Fox Company not sure. I am a Deputy Sheriff and anyone can email me. I miss Joe he took a lot of time with me to show me how to shoot guns and I will never forget him. He was VERY patriotic. I was born in 1952 and was given his name as my middle name. I would appreciate any information you might have and thank you and the other POW Association for serving our great country. Joe was able to speak Italian and Spanish if this might help. He was captured Nov 26th 1950 when K co. 3rd Bn 9th reg of the 2nd ID was overrun during the Chongchon battle. His name was Rodney Cloutman and he was a Captain at the time…I was told by another POW that my uncle was the company XO. The information on this page was provided by Duff Zube, Alfred C. Bordeau was his mother’s oldest brother. 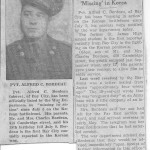 Bordeau was killed in a POW camp on June 30, 1951 almost to a year of being a POW. webmaster note: Alfred Bordeau was a Tiger. 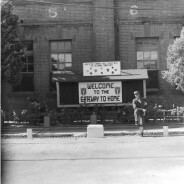 I was released from camp 4 on 1 Sep. 1953 and was greeted by Gen. Ridgeway. Our photo was taken by Msgt. Al Chang and a copy was to be sent to my parents in N.J. They never received it and there is no record of the photo in the National Archives in College Park, Md. In fact they have no photos at all which were taken of the POW’s after 31 Aug. 1953. The Director of the archives has no idea why there are no photos of the Operation Big Switch after 31 Aug 1953. If anyone can shed any light on this matter, and where the photos from 1 Sep 1953 are located, I’d appreciate it very much. He is my 1st cousin and formerly a member of Boy Scout Troop 35, Memphis, TN. He was featured as the POW from southern USA (Tennessee) in either Look or Life magazine after his release from the POW camp and again 10 years later one of those two magazines. Collecting this information to re-establish contact and for use in the forthcoming centennial celebration of the Boy Scouts of America. Any information you offer will be welcomed. Pfc. 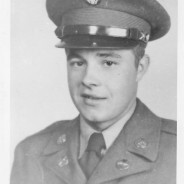 John Bowers was reported by the Chinese to have been killed in Camp 5 on May 3, 1951. His remains were finally returned and his funeral was two weeks ago. Today his sister visited me seeking answers and closure. About all I could tell her was there was no bombing attack on Camp 5 on that date. I am trying to help her find anyone who might have any information on her brother. My name is Michael Paul Randall. My great-uncle died there and that is all we know. His name was Elgin Volgara Randall, from Alabama. I do not know what unit he was with. I was just wondering if there might be anybody that knew him, maybe remembers him. He was my grandaddy’a little brother. Nobody in the family knows what happened to him. It would be nice to know that he had a friend or two at the end. i cannot imagine. In early March, 1951, I was a young Marine, assigned to the 1st Battalion, 1st Marines, in Korea. We advanced north from Hoengsong, Korea for about two miles and then entered into an area that I will never forget. There, scattered along that road for about a mile was the destroyed convoy of American military vehicles and men, such as we had never seen before or since. Hundreds of Americans lay dead among the vehicles, all along that stretch of road. I took part in rescuing several wounded Americans who had been left behind , after the Chinese marched several hundred prisoners north. This spot became known as “Massacre Valley” by the Marines. At that time, reporters and photographers were forbidden from taking pictures or reporting what they saw at that time. Very little was ever written about what happened or how many Americans and their equipment were destroyed. There was, in fact, a great cover-up of this disaster and it has been kept out of the official history books. Now, after all of these years, I am trying to assist Mrs. Merry Helms, an accomplished author, in searching out the facts of what really happened back then and at that place. The American people aught to know. And, the men who either lost their lives, or became prisoners of war through that disaster should be honored and remembered for their sacrifices in behalf of their country. We would like to contact any survivors who were there in February 1951. Please accept our humble appreciation for any assistance you may be able to provide. 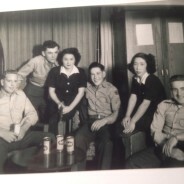 I am writing a book about my late father’s experiences in the B-29 and as a POW during the Korean War. I am looking for any information about the 371st Bomber Squadron (307th BG) and possibly photos of the unit while on Kadena AFB (Okinawa) in early 1951. My Uncle William Charles Bradley went missing in action on 12/01/1950 near Kunu Ri due to an attack on a clogged roadway. He was a medic in the 9th Infantry Regiment 2nd ID. He did write home that he had been driving trucks as well. He was first considered KIA but that was changed to POW in 2008 after much research. I have been informed by DPMO that he died while in a temporary camp in January of 1951 due to pneumonia and malnutrition. A physician at the camp checked in on him frequently and confirmed that he died. It would be helpful if anyone could offer more information as I did promise my now deceased Mom that I wouldn’t give up. His remains are still in North Korea. He had brown eyes brown hair was a handsome man. K Co., 3rd B, 34th infantry regiment, 24th infantry Division. These photos were taken at Camp Mower, Japan before being shipped to Korea. 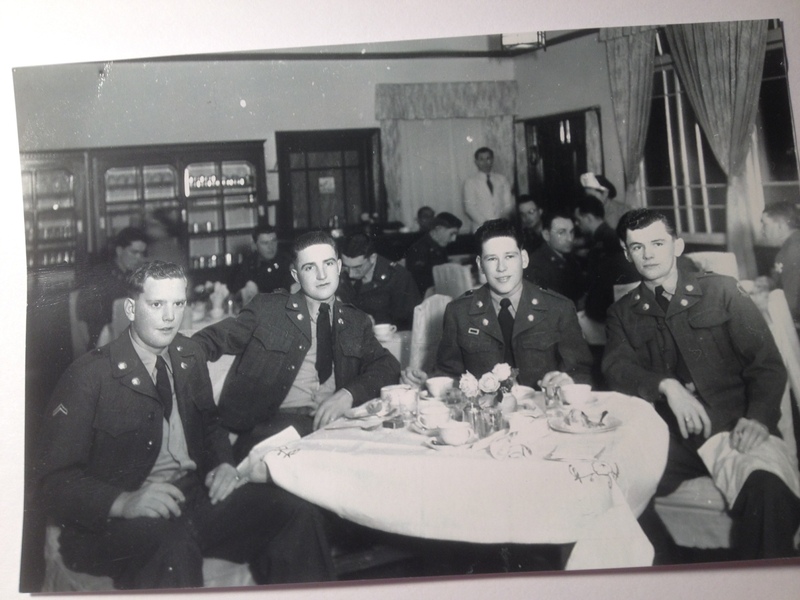 Donald Baer is seated on the left side in these two photos. I’m wanting to know the names of the other three men in the photos. I would also love to hear from someone who knew my brother in Japan or Korea. We’re trying to shed some light on the Nielsen-Henderson List. were loaded up and hauled north never to be heard from again. Died – June 09, 2007 – Mt. Sterling OH. I am the grandson of Glacel E Perry. I didn’t see my grandfather offten growing up. So there is a large hole that never got filled. I know he struggled with his memories and refused to talk about what had happened. Im just hoping you have any information maybe a picture? I don’t know if he attended any reunions. Thank you for your time and I will patiently await your response. I am assisting the sister of the late PFC John H. Coskey. He was a member of Co. K, 3rd BN, 21st INF, 24th DIV., when he was captured near Chochiwon on or about 28 JUL 1950. He was reported to have died in a POW camp near Chungangjin on 28 NOV 1950. Today, I saw an on-line story about PFC James R. Holmes. His remains were recently identified through DNA and he will finally be buried at Arlington on 29 MAY 2014. The fact that caught my eye was that Holmes and Coskey were both in Company K. I have already started a search for any remaining members of PFC Holmes’s family. 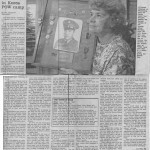 My goal is to find someone in Company L who knew PFC Coskey and is willing to speak with his 85 year old sister. 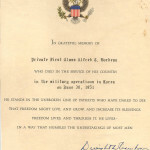 PFC Herbert E. Buik Jr.
My brother belonged to the Tiger Group and was listed on Johnnie Johnson’s list. He served in C Company, 1st Battalion of 27 Infantry Regiment 25th infantry D. POW on 26 July,1950 Camp: Manpo. He is buried close to the Chinese border. Apex camps, I also found out he died in Oct. 1950 and was buried on a hill by a fellow POW. Webmasters note: Shorty Estabrook notified me that PFc Buik was not with the Tiger Survivors. If anyone remembers this gentleman, I’m sure his sister would appreciate hearing from you. My father Deward e quarles (see below) was a POW in Korea. Maybe there are photos or records of his stay. I would be happy if they can help me. 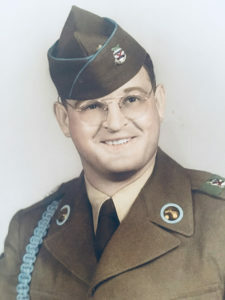 Sergeant First Class Deward E. Quarles, 9th inf. regt. 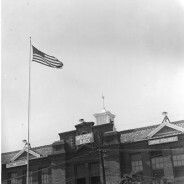 2nd Inf Div. (he was born on 29 June 1919), United States Army, which held as a Prisoner of War after he captured what falling on the Korean War on 1 December 1950 and which held until his release on 4 September 1953 after the signing of the Armistice. I am looking for information on my cousin Cpl Glenace Shaw. He was taken as a POW near the Yalu River. My Aunt was told that he was captured by the Chinese in December of 1950. He was last seen in a motor convoy shortly before his capture. Her first telegram stated he was MIA . 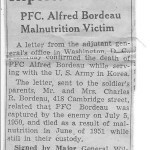 On December 19, 1950, my aunt got word that her sons name was mentioned in a propaganda broadcast when he was listed as a POW. She then received a telegram from the Chinese that her son died in a prison camp. He apparently had taken ill, was tied to a tree and died. Date of death was listed as March 6,1951 however this was never confirmed by the US War Dept. I am hoping that someone may have known him and has any information about him and what happened to him. Looking for any info Re: James “Jim” Alkire. He was a P-51 pilot disappeared on a mission. Was on the last list of “presumed dead” released after the POW release. Any one encounter him in a POW camp? 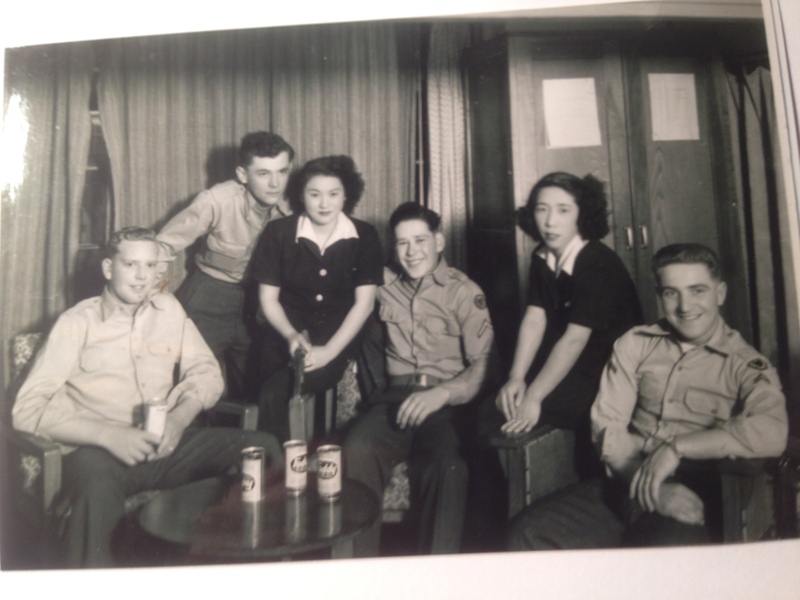 My father, Al Whaley, was a POW in “Pok’s Palace” on the outskirts of Pyongyang. My Dad died there in May of 1951, but 3 men mentioned him in their repatriation briefing. Cpl Ray P. Cooper ER17263750 B Co 38th Inf Reg Corpus Christie TX? Just wondered if any of these men were “still with us”? Milton Purdee Stith, DOB 3/1/1925. My father, now deceased, enlisted at age 15-17, lying about his age. He escaped his prison in a truck which the Koreans blew up. Dad played dead and was rescued by the Salvation Army w/a broken neck. Please anyone who can assist w/ info let me know or if you know of a website I can hit on. Thank you. Dear Korean War Ex-POWs, My name is K. John Yun, M.D. 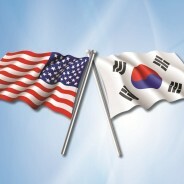 who is current President of Korean American Association of Kentuckiana. I happen to run across your website during my google search and would like to extend my personal thank you and also to welcome all of you to Louisville for your reunion. On behalf of our association, if there is anything we can do to help make your reunion a success, please let me know. We would be extremely honored to be included in your program. I may be reached at kjohnyun@gmail.com, or my cell phone number is (270) 300-4582. Thank you and I will be looking forward to your reply. I am a Cherokee Veteran of the Iraq/Afghanistan war on terror, and currently a graduate student at Washington State University studying Community Counseling. I’m trying to get the word out to Native American Veterans to take a survey that is approved through WSU. The purpose of this survey is to assess the Attitudes, Beliefs, and Perceptions regarding PTSD for Native American Veterans. This population of Veterans has had very few studies done regarding Attitudes, Beliefs, and Perceptions toward PTSD. I am hoping as leaders of your organization that you would send out this survey to your members. Your members do not need to have been deployed or have PTSD to do the survey. The survey will provide us with valuable information that can impact the kinds of services Native American Veterans receive in the future, but only if we get enough participants for the academic community (including the VA) to take notice. Also, for the purposes of this survey Native American means anyone who identifies as being at least part Native Alaskan, Native American, Native Hawaiian, Native Guamanian, or Native Puerto Rican. Please consider filling this survey out, and passing it along to others (such as AVVA chapter members, Friends from the service, ect.). Thank you for your service, time, and consideration.